There’s a local organization that I used to volunteer with that would take it upon themselves to collect food for local area low income families. The first Saturday of every month, moms, dads, and sometimes their kids would line up to check in, then wait in line to receive their staple items, such as milk, eggs, and cheese, then walk around the “special items” table, where they could choose three “extra” items, before heading outside to get bags of fruits and vegetables. One of my friends would help set-up the produce section and would come back telling me how not all of the produce was good. There would be some bad or rotten pieces in the large crates of foods. Having fresh fruits and vegetables is so important to healthy living and it’s very hard for those less fortunate to include these critical foods in their diets. Hearing that there was a company that was directly addressing this dietary need for others is why I was so interested to learn more about Naumes Gourmet Fruit Gifts. Naumes Gourmet Fruit Gifts stand out from every other fruit gift because for every purchase, they are giving back through their Donate Fruit program. And I don’t mean a small percentage of a $2.00 purchase. Naumes matches their fruit gift sales pound for pound by donating the equivalent weight in purchased pears to a local food bank. In the past seven years, Naumes has donated almost 10 million pounds of pears by working with Feeding America. How cool is that? That means when I buy my dad a box of pears for his birthday, Naumes will be giving 5 pounds of pears to someone who needs it. Naumes, Inc. has been in for nearly 100 years, first coming to life when to the first apple farm purchased by Pete Naumes in 1908. With 21 farms in Washington, California, and Oregon, Naumes is now one of the largest family owned and operated pear growers in the world, and also grows apples, cherries, and other fruits. They recently launched their online fruit gift store – www.naumesfruitgifts.com, which is where you’ll see the five different pear gift boxes (Comice, Colossal Comice, Bosc, Red Pear, and Red Pear and Comice mix) you can give to your loved one, which will also give to someone who needs love and fruit. Each gift box contains 7-12 fresh, hand-picked gourmet pears (about 5 pounds) and is as low as $29.95, with FREE shipping. 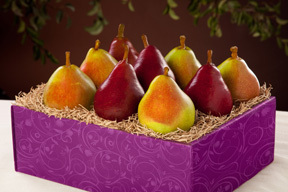 If you would like to gift some gourmet pears (to someone you know or to yourself!) 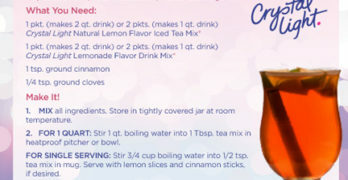 please visit www.naumesfruitgifts.com. You can also enter the WCatDD Naumes Gourmet Fruit Gift Giveaway! THIS ENTRY IS REQUIRED FOR ALL OTHER ENTRIES TO BE VALID (+1): Visit the Naumes Fruit Gift website and tell me what you liked the most about the gifts, the company, or the Donate Fruit program. Giveaway ends at 11:59 PM EST, November 10, 2009. Disclaimer: No compensation was given for this giveaway. I like the fact that the Naumes family is giving back to the community, not only through the food banks but also with the family foundation. I learned Sue helps to raise money for art organizations with smudgepots. thanks for the chance. I am impressed that their own losses during the Depression made them more aware of the disadvantaged and thus they give back to the same amount that you purchase. What other company does that!! Amazing! I will certainly patronize this company. I love the fact they have recipies on there site. 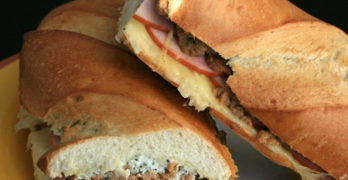 Sometimes its hard to actually figure out what you want for dinner and this has great ideas. I liked the recipes on the website. They look so good. I like that they set out to help others. I love Bosc pears- the are my fave thing to put in my morning smoothies.They have great pics on their site. They have really interesting recipes posted on their site – like the Balsamic Glazed Pear & Goat Cheese Crostini. Sounds divine! I love that for every fruit gift purchased they donate an equal amount of fresh fruit —pound for pound— to a local food pantry or shelter.